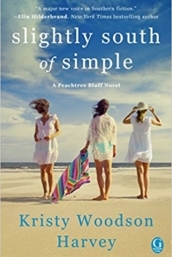 Today, I’m in the gorgeous town of Southern Pines, NC, and will be signing at The Country Bookshop at 5pm. If you’re in the area, I’d love it if you’d come say hi! The guest house is so gorgeous that Annabelle proclaims she could live there comfortably for the rest of her life. When this beautiful space caught our eye, we couldn’t help but imagine it to be similar to where Annabelle and Ben were living. Lovely and luxurious, this is just the kind of place where we would love to be guests! The space feels homey yet streamlined, which we absolutely love. And well-placed planks on the walls and ceilings add charm in droves. Just like in Lies and Other Acts of Love, this fabulous guest house comes with its very own pool view, perfect for catching some rays on summer days. If you haven’t picked up your copy of Lies and Other Acts of Love, today is the LAST day to enter to win our $1,000 Shop Design Chic gift card! Just send proof of purchase to [email protected] It’s still only $8.82 on Amazon and Barnes & Noble. Or purchase from your local bookstore or Indiebound to get two entries! We’ll announce our winner tomorrow! Yes, I could definitely picture Annabelle living in that guest house. It’s perfect! In fact, I would love to live there forever! The soft colors, the planking, the barn doors, the slipcovers…so much to love. Looks like you have been having a wonderful time…and you look beautiful in the pictures! I, too, can picture Annabelle in this gorgeous home. Looks like such a fun 4 days. You look adorable! images of these rooms are going off to a client building a home in florida. thank you for making my job easier! YOU are looking gorgeous kristy!! Please share where this home is, and if it is in a decorating magazine. Would love to she rest of it. Looks like you had a Grand time. Such fun. Congrats on the book! That’s amazing! It sounds like a great read and I know lots of people are already enjoying it. These pics are amazing too…I love the colors, fixtures, everything. 🙂 Hope your week is amazing! Kristy, it was absolutely fabulous to see what Anabelle’s guest house would have looked like in your mind’s eye. Isn’t it wonderful how books transport one to a fantasy world inside one’s mind? I love it when I read a book, then see the movie version of the story and compare how the set design jives with how I saw the scene. LOVED every word of Lies and Other Acts of Love! So happy for your success! I have ORDERED YOUR FIRST BOOK……………still waiting! Your having way too much fun. I love Clark, how awesome was that? I want to live in that guest house, it is gorgeous! Hi Kristy! Wow it seems you had so much fun during these 4 days! Congratulations again for the launch of your novel! And this house is so gorgeous I can totally picture myself living there too! 😉 (just like Annabelle). Such a beautifully done house! Love the muted colors and wood paneled walls. Super huge congratulations to you Kristy! Love the photos! How did I miss this post? What a most amazing guest house and yes, I could live very happily in that that guest house too!! Looks like you had an amazing time at the festival….so happy for the success of your books! I have bookmarked this post for ideas for our “right-sized” home!